2017 GMC Sierra 1500 4D Crew Cab Denali 4WD in Centralia, Illinois. Reasonable prices, excellent quality, new, used, pre-owned vehicles in Southern Illinois, near Metro-East and St. Louis. Recent Arrival! 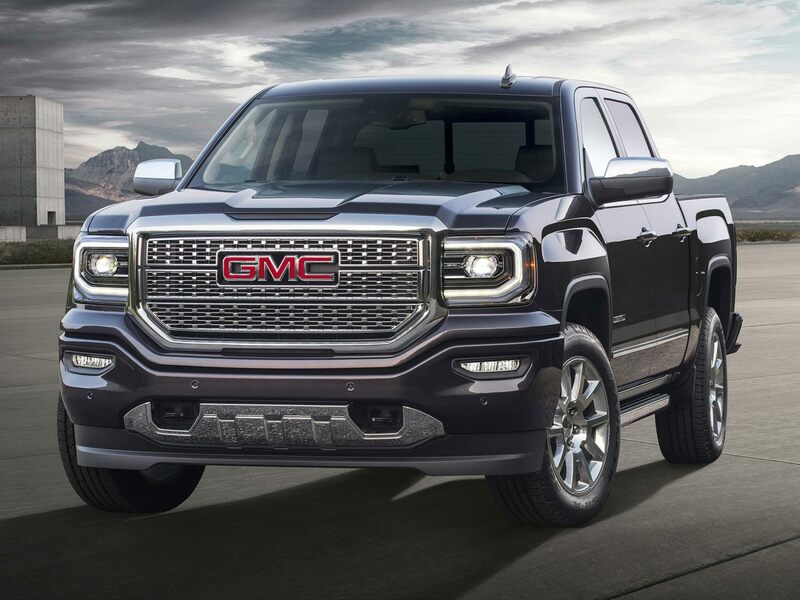 2017 GMC Sierra 1500 DenaliCertified. Certification Program Details: * Transferable Warranty * Warranty Deductible: $0 * 172 Point Inspection * Limited Warranty: 12 Month/12,000 Mile (whichever comes first) from certified purchase date * Powertrain Limited Warranty: 72 Month/100,000 Mile (whichever comes first) from original in-service date * 24 months/24,000 miles (whichever comes first) CPO Scheduled Maintenance Plan and 3 days/150 miles (whichever comes first) Vehicle Exchange Program * Roadside Assistance * Free Vehicle History ReportOdometer is 14702 miles below market average!Awards: * 2017 KBB.com Brand Image AwardsAt Monken Auto Group, All of our vehicles are researched and priced regularly using LIVE MARKET PRICING to ensure that you always receive the best overall market value. We are committed to getting you financed and have rates as low as 0% on certain vehicles with qualified credit. We carry all makes and models as well as New and Certified Pre-Owned Vehicles with Automatic and Manual Transmission, Hybrid vehicles with 3rd Row Seats, Backup Camera, Bluetooth, Hands-Free, CD Player, Cruise Control, Disability Equipped, DVD Player, Heated Seats, Keyless Entry, Leather Seats, Lift Kit, Multi-zone Climate Control, Navigation, Portable Audio Connection, Power Locks, Power Windows, Premium Audi, Premium Wheels, Security System, Steering Wheel Controls, Sunroof, Moonroof and Trailer Hitch. Radio: AM/FM Stereo w/8"" Diagonal Color Touch Nav. Check out this 2017 GMC Sierra 1500 4D Crew Cab Denali 4WD at Monken Auto in Centralia, Illinois near Metor East and St. Louis.